A camera backpack serves a photographer by organizing and separating equipment on the inside while protecting your camera, lenses and gear from outside influences as bumps, scrapes and the elements. Whether you’re a professional photographer or amateur birdwatcher who needs to carry sensitive optics, the best camera backpacks are designed for optimal storage, comfortable transportation and reliable safekeeping of your gear. To help you choose, we’ve put together this guide of the top camera backpacks and provide you with a practical guide on how to select a camera bag for you. For more of my top gear recommendations, have a look through these popular Outside Pursuits guide links: Wildlife Photography Cameras, Beginner Cameras, Birding Binoculars. 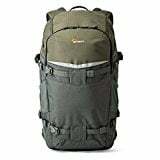 Here is a feature comparison of my top rated camera backpacks with a comparison table and our buyers guide below will help you choose a good backpack for you. The Endurax Extra Large Camera Backpack is our editor’s choice for the best camera backpack and the perfect companion for photographers who travel or hike with a lot of equipment. The backpack offers plenty of storage options, convenient hands-free comfort, easy access and configurable compartments. This backpack’s name is fully justified: it features two main compartments on the top and bottom, each of which can house a full-sized DSLR camera with 4 lenses. The bottom can also be converted for a total of 6 lenses. You also have storage options for a tablet and a 15.6” laptop. With configurable dividers made from soft EVA cotton, you can adapt the backpack to your individual needs. A PVA armored front panel securely holds digital equipment and sensitive gear. An organizer pocket stores pens, memory cards and odd bits. The flip-out tripod holder can store a full-sized tripod. A side pouch is great for water bottles. The Endurax camera backpack is compatible with many popular models from brands such as Nikon, Canon, Fujifilm, Sony, Panasonic and Olympus (see Amazon for full list). Even fully loaded, the bag allows you to shoot and travel comfortably. Thick breathable padding for ventilation, contoured shoulder straps with easy top-strap adjustment, a sternum strap and torso-length adjustment allow for all day comfort. A camera harness on the straps enables you to hang a camera for quick shooting without neck pain with quick-release buckles, you’re ready to shoot a picture. A standing pad keeps the backpack upright when you sit it down. The outside material of the Endurax camera backpack is moisture resistant and water repellent, but the bag is not fully waterproof. In heavy rain, you have to apply the included rain cover to fully protect your gear. Also included is a single camera bag which can be worn on the waist or over the shoulder and which fits entirely in the bottom compartment of the backpack (without the dividers). If you’re a professional photographer looking for the best hiking camera backpack, this is the backpack for you! The Lowepro Flipside Trek BP 450 AW XL is an outdoor camera backpack made for adventurous and traveling photographers. This solid and well-made model is ready for any weather and offers safe and secure protection for a DSLR camera and all essentials. It’s comfortable to wear for an extensive period and has plenty of options for adjustment. For storage, the Trek BP 450 AW has a dedicated camera compartment and an open space for assorted items of various sizes. It can fit a standard DSLR with several lenses, a compact tripod, further accessories and a 10” tablet. Mesh pouches on either side provide quick access to water bottles or other essentials. Multiple attachment points allow you to pack flexibly and scale up or down. The clever Flipside body-side access enables you to get into your backpack without having to put it down. You wear the backpack with the waist belt and open it up in front of you like a suitcase. The hinged lid of the camera compartment allows access without fully opening. The backpack is comfortable to wear all day with the ActivZone suspension system. 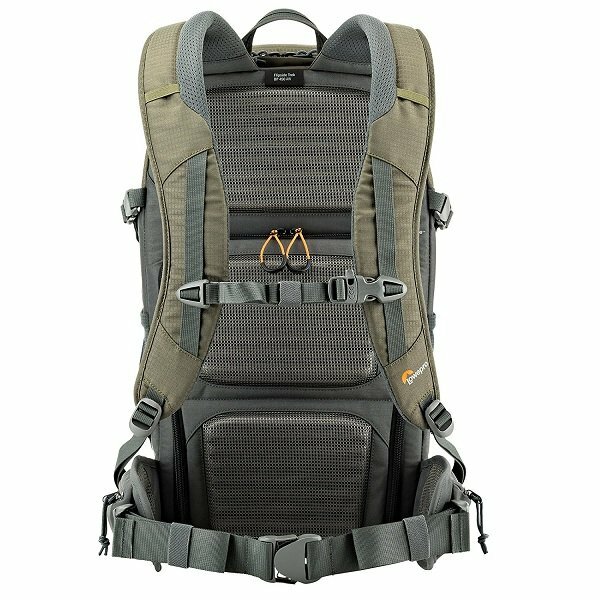 The shoulder straps are padded and fully adjustable, while chest and waist straps help distribute the weight evenly and balanced. Lowepro uses technical fabrics such ad Poly 500D Kodra, 300D Dobby, Tricot Polyester and Velex Nylon to construct the Trek BP 450 AW. The AW stands for all weather: the built-in cover protects the bag from rain, snow, dust and sand. The Lowepro Flipside Trek BP 450 AW is a well-balanced camera backpack with plenty of storage options and all the features a premium outdoor backpack requires. It’s more expensive than our editor’s choice, but if you want the best camera bag for travel it’s a good choice! The Beschoi waterproof camera backpack is a great model for the demanding urban photographer. 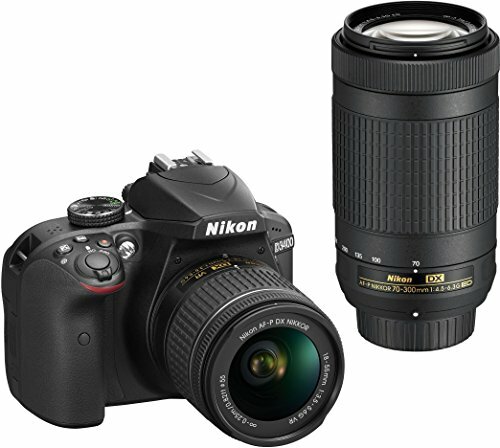 It will hold a professional DSLR camera with several lenses and equipment as well as other accessories. Dual lids optimize access, compartments are multi-functional, and durable fabrics and a rain cover protect your gear from external influences. The backpack basically consists of one big padded storage with multi-functional compartments and customizable dividers. 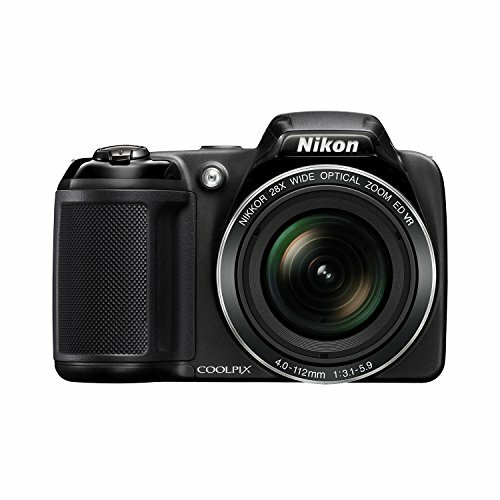 The top flap provides quick access to the camera, while the bottom one allows you to take out lenses, a flash and other equipment. Outside pockets hold smaller items such as filters, memory cards, cables and more. Smaller items such as a phone or batteries can go into the side pockets. The bag is able to hold a very long lens, and the flexible dividers are great for versatile use according to your kit and configuration. You can also store a 14” laptop in a padded pouch. Shoulder, chest and waist straps are heavily padded to offer maximum comfort and the mesh fabric provides ventilation for all day hiking. The backpack features waterproof and durable nylon fabrics for protection from moisture, wear and scratches. The backpack is water repellent, while the detachable rain cover gives full protection from a downpour. The Beschoi is the best photography backpack that is perfect for budget conscious photographers. The backpack we have reviewed is the XL version of the Beschoi waterproof camera backpack. Also available are the smaller sizes S (13″ x 9.8″ x 5.5″) and L (17.3″ x 11″ x 5.5″). 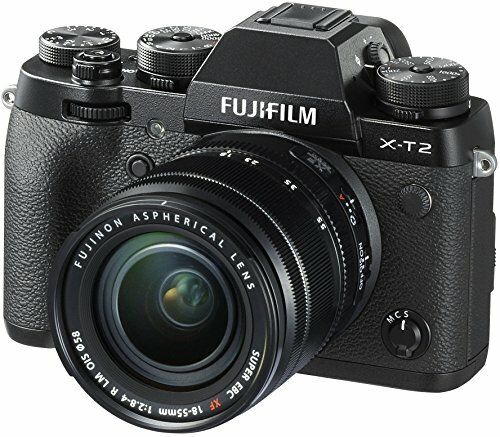 The model we’ve review here is The Great Explorer, which is geared towards professional photographers who carry 1-2 cameras and many lenses. But Altura offers smaller versions for less gear: The Wanderer Backpack, The Light Traveler Backpack, a shoulder travel bag and a sling backpack. Being very inexpensive, the Altura Great Explorer is surprisingly customizable for transporting your gear. 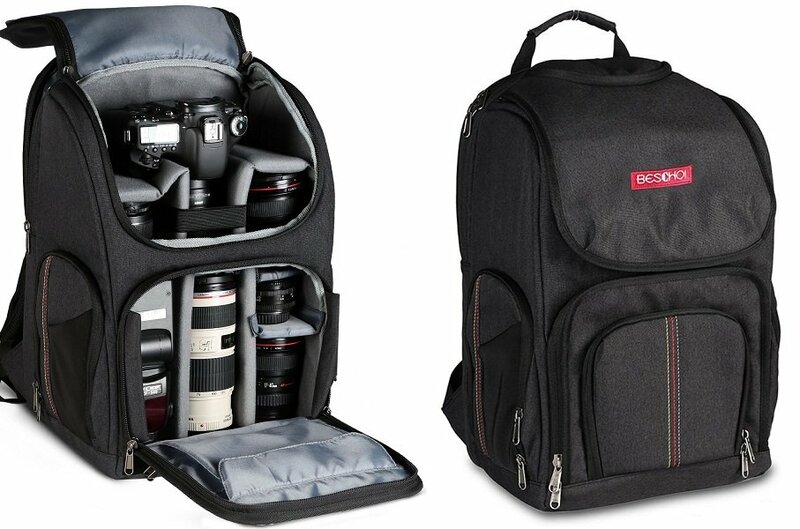 The main compartment holds up to 2 DSLR cameras, 4-6 lenses, a flash and other photographic essentials. 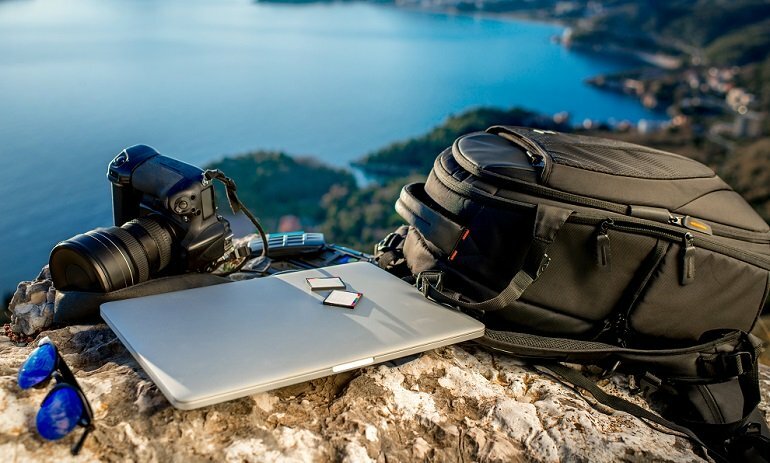 Apart from camera equipment, you can also fit a 13” laptop and a 10” tablet into the backpack plus you can securely attach a compact tripod or monopod. The velcro fastened dividers allow you to flexibly configure the bag’s interior. With multiple attachment loops for carabiners and other clip-on accessories, you can further load the Altura backpack. The Great Explorer features an ergonomic shoulder harness and waist belt for good support and even distribution of load so you can stay comfortable all day. The anti-slip bottom guarantees a secure stand, and with reinforced stitching, you can trust the durability of the backpack. Made from water repellent nylon, the backpack is rugged. Also included is a detachable rain cover for full protection in rough weather. The Altura Photo Great Explorer is the best camera backpack for travel that offers professional features at a budget price. The TUBU camera backpack is well-designed specifically for rugged outdoor use and might the best camera backpack for hiking in its price range! Of course, it will withstand the demands of fashion, sports and urban photographers as well. The backpack is made from water resistant nylon and PE foam with temperatures of -40° F in mind. Straps, reflective strip, zippers and clutches are made to last. 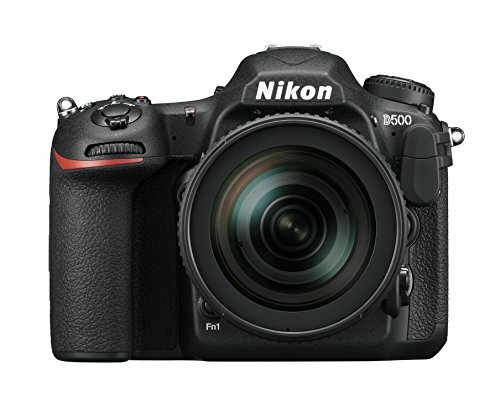 With a top and bottom compartment, you can fit a professional DSLR camera in each and at least two more lenses. The top compartment can also be used for 1-2 days of clothes. Both compartments can easily be reconfigured to customize the backpack for your needs. Thanks to the quick-access feature, taking out a camera is a matter of a few seconds. The camera and gear chambers prevent your equipment secure from bouncing around. The TUBU camera backpack is compatible with many popular cameras and brands such as Nikon, Canon, Fujifilm, Sony, Panasonic or Olympus (see Amazon for full list of models). The backing is breathable to keep you cool during outdoor hikes. The shoulder straps feature a clever system for optimal weight distribution during different activities such as hiking, climbing or daily city use. The backpack can also be converted into a laptop bag. With the strap buckles, you can distribute the weight of the camera you keep ready, instead of hanging it around your neck. The design was influenced by professional photographers and the bag combines quality fabrics with a durable and innovative construction. If things are going to get rough, this is the best dslr camera backpack! The Bagsmart anti-theft professional camera backpack is a compact and versatile model that can carry a lot of gear, up to a total of 35 lbs. It is equally suited for outdoor and urban use and you can easily convert it into an everyday travel backpack as well. The bag is constructed from durable and rugged water repellent 800D polyester, plus you also get a detachable rain cover. A smart feature is the anti-theft system: on each side of the backpack, you’ll find adjustable buckle straps. You can zipper the bag shut to the bottom and then button the buckles, effectively blocking the zippers. The design of the backpack allows for multiple configurations. The large storage compartment can be divided with a bottom insert and a removable divider. The top layer can hold one DSLR and 2-4 lenses, while the bottom can be loaded with one DSLR and up to two lenses. 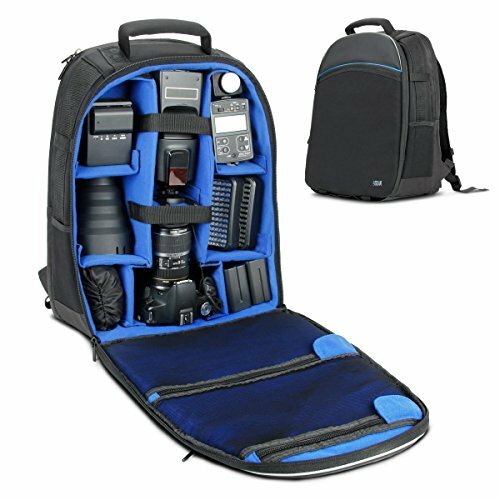 The Bagsmart backpack is compatible with many popular cameras and brands (see Amazon for full list of models). A padded compartment houses laptops up to 14” or tablets. plus there are two front and side pockets to hold batteries, cords and other essentials. The rain cover is hidden in the bottom, where you can also attach a tripod. 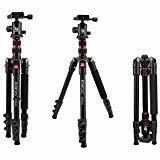 A full tripod holder can be found at the side, while top holder straps will secure a mini tripod. The backpack is ergonomically contoured for comfortable carrying and features adjustable shoulder straps, a wide, adjustable waist and chest straps with breathable mesh to keep you cool. By taking out the dividers, the Bagsmart camera backpack becomes a regular backpack. For a great price, you get the best camera laptop backpack that’s versatile, durable and has lots of storage options. 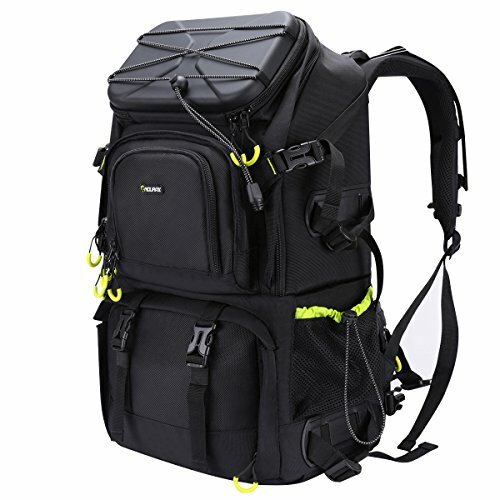 The Powerextra camera backpack is multi-function, light weight and compact. If you pack a lighter kit for hiking or looking for a backpack you can convert into a small daypack, this is the one for you. The backpack features high-quality waterproof Oxford nylon as well as reliable YKK zippers. The durable and rugged exterior offers plenty of protection for outdoor use and light rainfall. 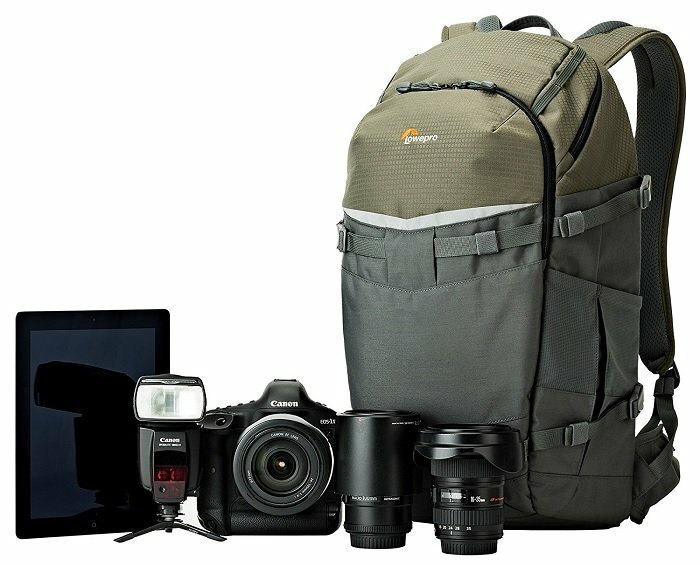 The backpack can store 2 DSLR cameras, 4-5 lenses, a flash and gear, a tablet and 14” laptop as well as accessories in internal and external pockets. Side pockets can hold water bottles or a tripod. The foam padding is customizable and removable to protect your equipment in a variety of configurations. With heavily padded shoulder straps and a wide, adjustable waist as well as chest straps, this backpack is comfortable to wear even when fully loaded to capacity. If you remove all the interior compartment dividers, you can use it as a regular backpack. The Powerextra multi-function backpack is the best dslr backpack for amateur and professional photographers alike for an entry-level price. When selecting a camera backpack, you’ll probably have your own set of important factors and preferences. The bag should obviously fit your camera and equipment, but beyond that, individual photographers might be looking for comfort, durability and protection, easy access, padding or many compartments. We’ve specified for each model we’ve reviewed which camera brands and individual camera models the bag can fit according to the manufacturer. This approach takes the camera body and a standard lens as well as additional lenses and gear into account. It does not necessarily exclude other makers and cameras, it just gives you an idea which cameras will work particularly well with this backpack. Still, compatibility is a good starting point for selecting the right camera bag. Your individual gear configuration will vary, of course. The dimensions and weight of your camera backpack give you an idea of how easy it is to travel with it and how much room you have. Sturdier models for a lot of gear will be larger and heavier. 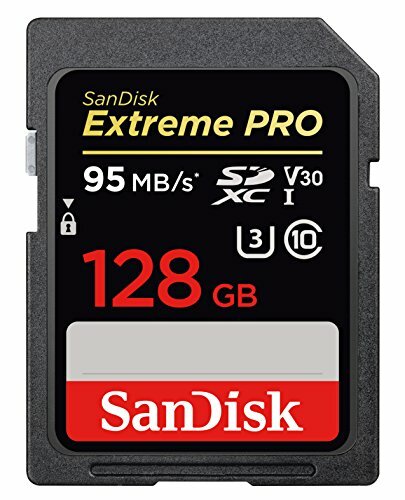 Portability is an issue if you have a smaller camera and want to or need to travel light, but if you’re looking for lots of storage options and best protection, size and weight will be of less concern to you. Camera backpacks are specifically designed to hold and separate individual pieces of equipment. Your gear goes into compartments that pad and protect them and allow for easy access, keeping things tidy and uncluttered. The more gear you have, the more compartments will be required to transport them. Manufacturers often give you flexibility by allowing you to resize individual compartments, add or remove extra padding and arrange things according to your needs and preferences as you’re probably not taking all your gear to each shooting. Traditionally, backpack capacity is specified in liters or ounces, but for a camera bag, this number won’t tell you much. Instead, manufacturers often list the maximum length for a zoom lens and sizes of other compartments such as a 15” tablet or laptop storage. The material for a camera backpack is important as it determines how rugged and durable it is. It will influence the maximum weight allowance and the level of protection from external influences such as weather, dust and water. Consider your shooting environment: does your backpack need to withstand the stress of urban life and daily wear and tear, or will you be roughing it and hauling gear over rocks and through forests? Maybe a waterproof bag is your foremost concern, insulation against temperatures or protection from bumps and accidental drops. 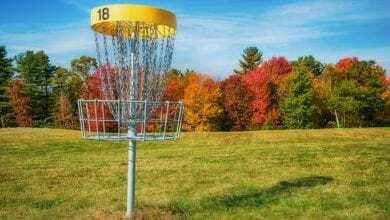 Comfort is also determined by the ergonomics of the bag, meaning how well the weight is distributed and how easy it is to carry with a full load of gear. How well a backpack wears is specifically important when you have to cover greater distance to approach your subject matter, which is commonly the case with nature, wildlife and landscape photographers. The more you carry and the more often you need to swap out lenses or need additional gear, the more important access options for your camera backpack are. Quick-access pockets are great for smaller things such as memory cards or snacks, whereas access to the main compartment can be possible from the front, back, side and top, depending on the model. Some camera backpacks allow you wear them on the hip in front of you an access them like a laid-out suitcase. 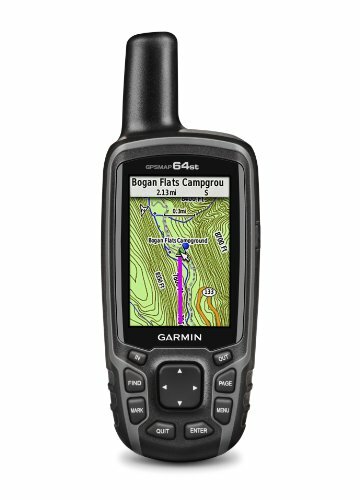 The factors in this category should not primarily influence your decision but are great-to-have features: a rain cover, outer pockets, the possibility to thread a charging cable from a battery pack, the option to clip things to the backpack such as a camera drone, and extra storage pouches. We’ve also specified the warranty where applicable. Q: How do I know my camera fits in the backpack? A: For each backpack, we’ve specified which brands and models are compatible. We’ve also indicated what the best use or application is. These are general recommendations to allow you to use the backpack most efficiently. If you get a DSLR backpack for your DSLR camera, chances are it will fit. It comes down to the details of how you want to organize and transport your extra equipment such as lenses, filters and electronics. Q: Which camera backpacks can I bring as airline carry-on luggage? A: Unfortunately, there is no general answer for this question as travel size and weight restrictions for carry-on items vary between airlines as well as national or international flights. Always contact your specific carrier for up-to-date size and weight restrictions to find out if you can bring your camera backpack into the cabin with you. Q: What is the best way to pack a camera backpack? 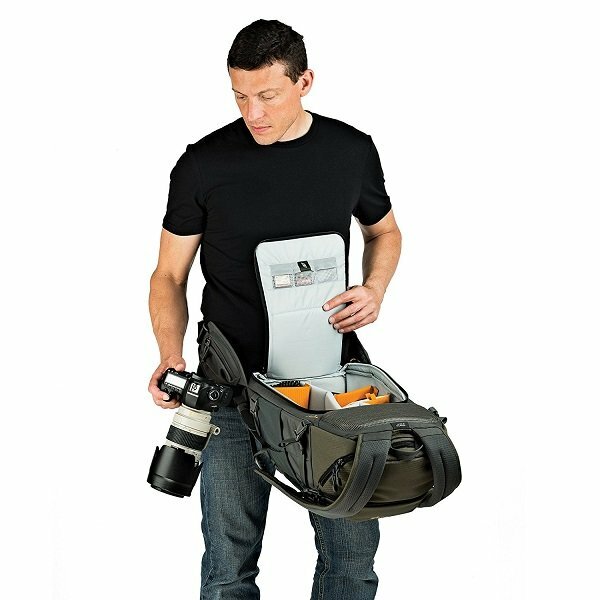 A: Every photographer has their own preference on how to organize things, and each backpack will feature different compartments for stowing gear, often with removable padding or dividing sections. However, a general recommendation is to place the heaviest items towards the bottom of the bag to achieve the best balance. This will also work well with models that allow access to the bag’s contents while you’re wearing them, preventing the bag from tipping over or away from you. Q: Are these camera backpacks waterproof? A: Camera backpacks use protective materials that are at least water repellent. Just how waterproof they are depends on the model and is specified with the IP rating, the International Protection Marking. These are two numbers: the first digits refers to solids particle protection, and the second digit to liquid ingress protection. For example, a rating of IP66 means the backpack is dust tight and can withstand water projected in powerful jets. Some camera backpacks come with an extra raincover. Q: How do I clean a camera backpack? A: A camera backpack should be cleaned with care. Do not put it in the laundry, tumbler or dryer as it will destroy the protective properties of the fabrics. Avoid aggressive detergent or cleaning fluids and remove outside stains with a cloth, warm water and hand soap if necessary. Clean the inside with a wet towel and let the backpack dry out. Q: I already have a backpack, why do I need a camera backpack? A: Camera backpacks seek to provide an easy and ergonomic solution for storage and transportation of cameras and their equipment such as lenses or external flash electronics. Most cameras come with a carry bag, but as soon as you have an extra lens to bring, that might no longer be enough. A camera backpack is a straightforward solution for adequately stowing and carrying all your gear in one place while protecting sensitive equipment from shocks and weather. Many camera backpacks have neat extra features such as room for a laptop or tablet, a battery pack, a rain cover or accessibility functions that allow you to easily reach for exactly the piece of equipment you need. Camera backpacks are versatile carrying options for your sensitive gear. Thanks to adjustable and customizable compartments, they’re a much better option than stuffing your optics and cameras into a regular backpack with insufficient padding. With features for organization and quick-access, there’s a place for everything and everything is in its place where you can get to it within seconds. Think about how much gear you’ll be bringing and how flexible you need to be as well as what the conditions are of where you’re going, then use our guide to choose the camera backpack that fits you best. Safe travels and successful photographing trips! I hope this guide was helpful for finding the best camera backpack to fit your needs. If you want to comment or recommend a backpack I didn’t include, please use my contact form to get in touch. The Endurax Extra is our Editor's Choice for the best camera backpack with its combination of storage, versatility and quality.